Adoption fees include spay/neuter,vaccinations, deworming, microchipand heartworm or combo test. All standard adoption criteria apply. 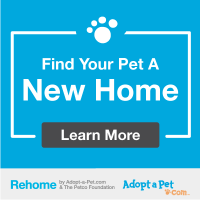 Check out our adoptable dogs and cats and find your perfect match! LifeLine Animal Project is challenging Atlanta to help us save lives and say "I'm IN" by adopting dogs and cats from a shelter. Are you in?